Regarded by many as being the inventor of the Viennese Waltz as we know it today, Joseph Lanner was born in Vienna on 12 April 1801. His musical career began as a violin player in the Michael Pamer orchestra. In 1818, he left to form a trio which five years later became a quartet with the addition of a young viola player - Johann Strauss the Elder. The ensemble quickly expanded into a full-grown orchestra. In 1825, Lanner and Strauss went their own separate ways. Although they still remained friends, they were serious rivals in dance music. 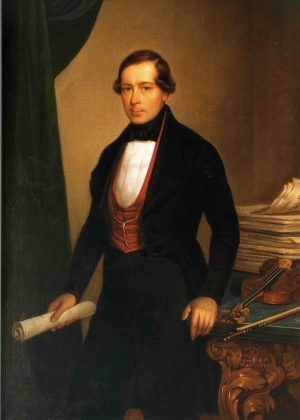 Lanner became music director at the Redoutensäle in 1829 and two years later he was appointed bandmaster of the Second Vienna Militia Regiment. His musical output totalled over 200 works - his most famous works being the waltzes Der Werber, op.103; Hofballtänze, op.161; Die Romantiker, op.167 and Die Schönbrunner, op.200. Joseph Lanner died on Good Friday 14 April 1843 in Vienna at the tragically early age of just 42 years. 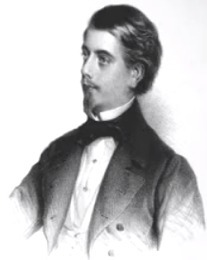 Son of Joseph Lanner, Augustin (the 'in' was later dropped) Joseph was born on 23 January 1835 in Vienna. He first conducted his late father's orchestra at the age of only eight years. He made his professional debut in 1853 and during the last two years of his very short life, he composed over 30 pieces of dance music. August Lanner died in Vienna on 27 September 1855 aged only 20 years of age.